A common problem, hearing loss is caused by noise, aging, disease, and heredity. 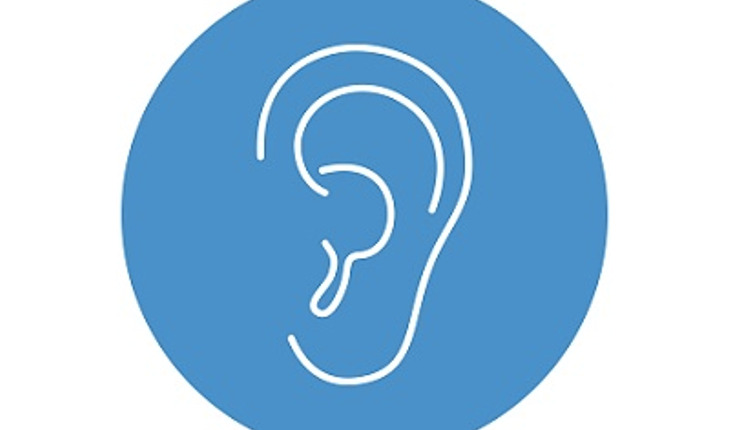 The hearing process is complex, involving the ear’s ability to detect sounds and the brain’s ability to interpret those sounds, including the sounds of speech. Hearing loss is one of the most common conditions affecting older adults, the SeniorHealth experts say. Approximately 17 percent, or 36 million, of American adults report some degree of hearing loss. And it grows more common with age: 18 percent of American adults 45-64 years old, 30 percent of adults 65-74 years old, and 47 percent of adults 75 years old, or older, have a hearing impairment. Men are more likely to experience hearing loss than women. Hearing loss has a number of ramifications: People with hearing loss may find it hard to have a conversation with friends and family, to understand a doctor’s advice, respond to warnings, and hearg doorbells and alarms. Additionally, some people may not want to admit they have trouble hearing. Older people who can’t hear well may become depressed or may withdraw from others to avoid feeling frustrated or embarrassed. Sometimes older people are mistakenly thought to be confused, unresponsive, or uncooperative just because they don’t hear well. Sensorineural hearing loss occurs when there is damage to the inner ear or the auditory nerve. The SeniorHealth experts say that this type of hearing loss is usually permanent. One form of hearing loss, presbycusis, comes on gradually as a person ages. Presbycusis can occur because of changes in the inner ear, auditory nerve, middle ear, or outer ear. Some of its causes are aging, loud noise, heredity, head injury, infection, illness, certain prescription drugs, and circulation problems such as high blood pressure. Presbycusis commonly affects people over 50, many of whom are likely to lose some hearing each year. Having presbycusis may make it hard for a person to tolerate loud sounds or to hear what others are saying. Tinnitus, also common in older people, is a ringing, roaring, clicking, hissing, or buzzing sound. It can come and go. It might be heard in one or both ears and be loud or soft. The SeniorHealth experts stress that tinnitus is a symptom, not a disease. It can accompany any type of hearing loss. It can be a side effect of medications. Something as simple as a piece of earwax blocking the ear canal can cause tinnitus, but it can also be the result of a number of health conditions. For more information on other health issues from the SeniorHealth experts, click here.